LONDON, UK, 2018-Nov-27 — /Travel PR News/ — Heathrow expansion is set to lead the UK’s offsite construction revolution as 65 potential Logistics Hubs across the country progress to the next stage in the search for the final four. The airport will determine which hubs are best placed to progress to the shortlist next Spring, by inviting the sites to expand their bids and complete a pre-qualification questionnaire (PQQ). The sites will have until 18 January 2019 to showcase why they should be involved in the delivery of Britain’s biggest infrastructure project. Airport delegates have toured facilities across the country, seeing first-hand the potential to transform the country’s infrastructure and construction industries. Each of the 65 sites offer their own unique elements to the project, from their location, transport links, local skills and supply chain, size, regional expertise and business plans. These are just some of the considerations Heathrow’s expansion team will make when deciding which sites will make the final four. 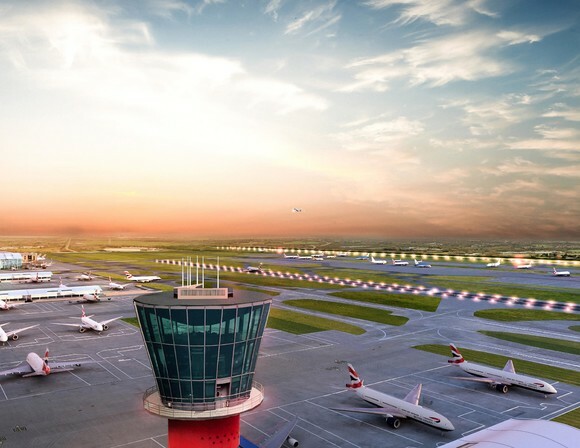 Heathrow will also examine each site’s ability to work with three other locations to deliver the third runway. The expansion project will have four sites either assembling components of the expanded airport or serving as a consolidation centre for these loads before they are transported to Heathrow helping to reduce the project’s impact to local communities. Of the potential sites, 50 are existing or functioning sites, many of which are already experienced in delivering major projects. The other 15 sites are either undeveloped or proposed facilities with the potential for additional flexibility and customisation, essentially allowing for these sites to be built for purpose. The variety of sites show the opportunities for other projects across the country to explore how offsite construction could be beneficial to them. This news coincides with the latest stage of the search for Heathrow’s Innovation Partners, launched earlier this year, which will see 37 companies submit their business cases explaining how their ideas could potentially help Heathrow deliver expansion efficiently, sustainably and affordably. “This is an exciting opportunity for us to engage with site promoters that are passionate about creating a lasting legacy. These responses will help us understand which sites will best work for the expansion programme as well as for future construction projects. Heathrow will be the first major infrastructure project in the UK to pioneer the large-scale use of Logistics Hubs – aiming to build as much of the project offsite as possible. The hubs will work by pre-assembling components offsite before transporting them in consolidated loads to Heathrow just as they are needed. This method will boost the project’s efficiency and cut emissions by transporting components to site in fewer lorries. Research by WPI Economics revealed that integrating an offsite manufacturing supply chain into a major project has the potential to reduce the overall cost of the project by as much as 25% whilst speeding up delivery by up to 30%. This entry was posted in Airports, Business, Travel, Travel Services, Travelers and tagged airport, Emma Gilthorpe, Heathrow, heathrow airport, Logistics Hub, PQQ, Spring. Bookmark the permalink.